Kimbra Cutlip, a native of the East Coast, was born in New Jersey. For five years, she lived aboard her sailboat off the coast of Maryland near the Chesapeake Bay. Cutlip is a world traveler who loves exploring and experiencing new places and activities. She has, among other adventures, gone backpacking through the former Soviet Union and Mongolia, desert camping, cold-weather camping, and ice fishing, and she completed a Trans-Siberian crossing in 1988. 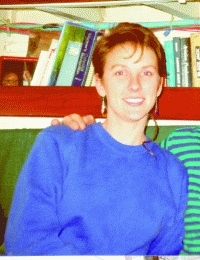 In 1985 she graduated from Syracuse University with a dual bachelorâ€™s degree in journalism and anthropology. She continued her education by completing masterâ€™s degree coursework in marine ecology at George Washington University. Cutlip has worked as a freelance writer, contributing to such publications as the Washington Post, Alert Diver, Calypso Log, and Successful Retirement, among others. Her previous jobs range from manager at the Smithsonian to program director for the United States Department of State, Republic of Niger, and West Africa to an eight-year member of the Peace Corps. Each of these positions has given her a unique insight into the many differences of the world, which she uses in the creation of her books. Sailorâ€™s Night Before Christmas, Cutlipâ€™s first book, is a seaworthy twist on a classic Christmas tale. The idea came to her while she was living on her boat. Young children would come to her and ask, “How does Santa get in?” She began to weave a Christmas tale for these children to explain how it would be possible for Santa to deliver gifts to the boat. The children showed so much interest that she decided to write this unique story down so she could share it with others. Cutlip presently lives in Galesville, Maryland, with her husband, Michael Broglie, and daughter, Sienna Michelle. She is a contributing author for Weatherwise magazine.